Posted March 21, 2014 by Dr. Jason Hare & filed under chiropractic, chiropractor, frozen shoulder. 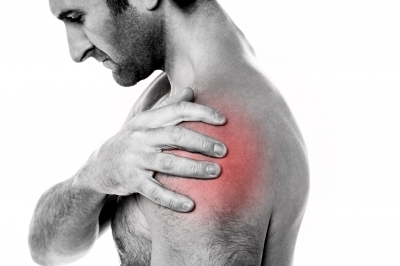 Typically, frozen shoulder starts following a period of inactivity of the shoulder. Because the shoulder isn’t being used enough, the adhesions have a chance to form. If you have ever broken an arm or finger you’ll undersand. When you take the cast or splint off after the break has healed, your arm or finger feels stiff because of adhesions. The same happens with frozen shoulder. Often the inactivity in the shoulder is because we were already resting a previous injury, such as a rotator cuff tear. Periods of rest following a surgery have also been known to allow frozen shoulder to develop. If you are looking for a Nanaimo chiropractor to deal with your shoulder, look no further than the team at Pure Chiropractic. Dr. Hare will diagnose your shoulder problem and give you the proper course of action, helping you get back to life!